I think this will happened one day if I keep on sitting and texting SMS in the dark. 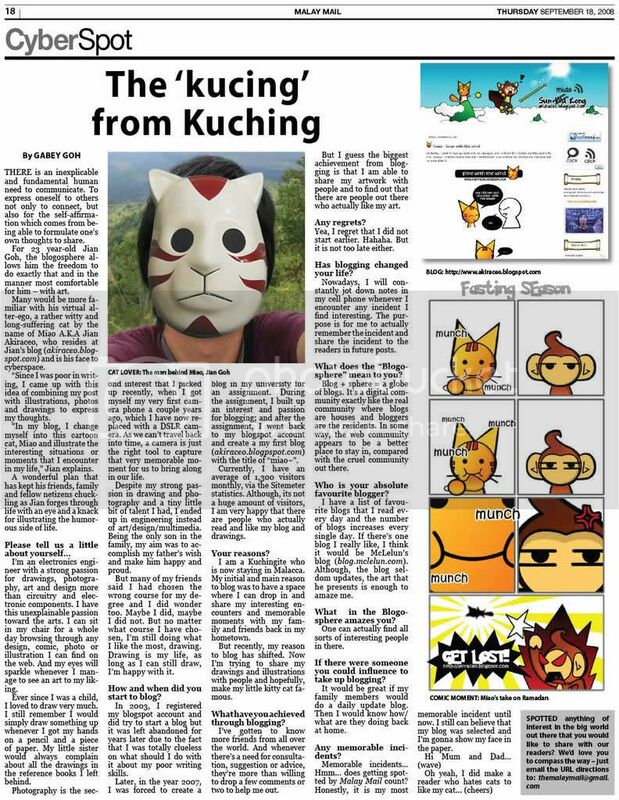 Posted on January 13, 2010 by Jian Akiraceo. This entry was posted in Rant and tagged A ghost story, blackout, lock outside of the house. Bookmark the permalink. Complain to TNB. Make some noise and if you manage to annoy them . They will fix it in no time. I almost tot that you are attempting the singapore ghost story LOL. Perhaps you should try the Namawee’s way of cursing the TNB lol! ahaha..koh lian. why don live at friend house nearby? I’m not used to sleep in other people’s bed and pillows..
you described your housemate seeing you as ghost. so funny. Maybe because the building is old, they didn’t bother much about it, forgetting there is a cat staying there. Shhh…. Don’t make the Witch angry…. Its my floor affected only..
reminds me few days back it was middle of the night and me & my cousins were passing a spooky forest. I was sitting at the back seat texting a friend. My cousin who was driving looked at the rearview mirror and yelled cause she thought she saw a ghost XD btw, 3 days seemed too long for a blackout, maybe you should complain…. Go stay in a hotel, hostel, motel, rumpah tumpang or fren’s house for a while la. U should call TNB over and over again. Get ur neighbours to call also coz the more complaints, the faster they’ll act. Meanwhile go buy a portable battery powered fan to cool urself. 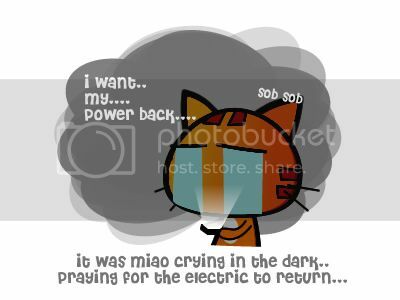 Hahha I think many complains d, since I got the power back at last..
but so scary wei~ no electricity for 3days. temporarily move to ur fren’s house wei. The owner did called them.. I think..
Ehh.. draw and update lor.. But no electricity wor…… how you draw and update leh ? haha pity you…..at last u still can update ur blog la.